Calling all dogs! TV presenter Antoine de Caunes is making a docu-film about the creative resistance to Brexit. Antoine would like to feature the Wooferendum and has asked if some of the hero dogs from the Wooferendum can do the walk again, so he can film them and interview the dogs and some of their owners. then now is the chance to bark out again – for this film! NB – this isn’t expected to be a big march, but the more the merrier. The main purpose of the walk is so that Antoine de Caunes and his filming team can do a really mini doc-film on Wooferendum – it’s part of a ‘Love Letter to Britain’ series he is doing. His top director is going to film it and make it a really good thing. 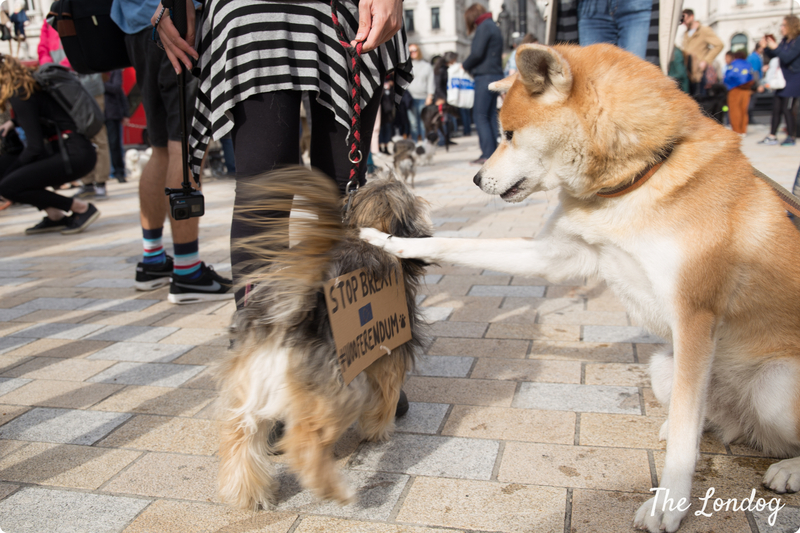 It’s really important that we make it as visual as possible, like the original Wooferendum march was. So please dress your dog up, and/or bring a placard with a message/slogan on it.